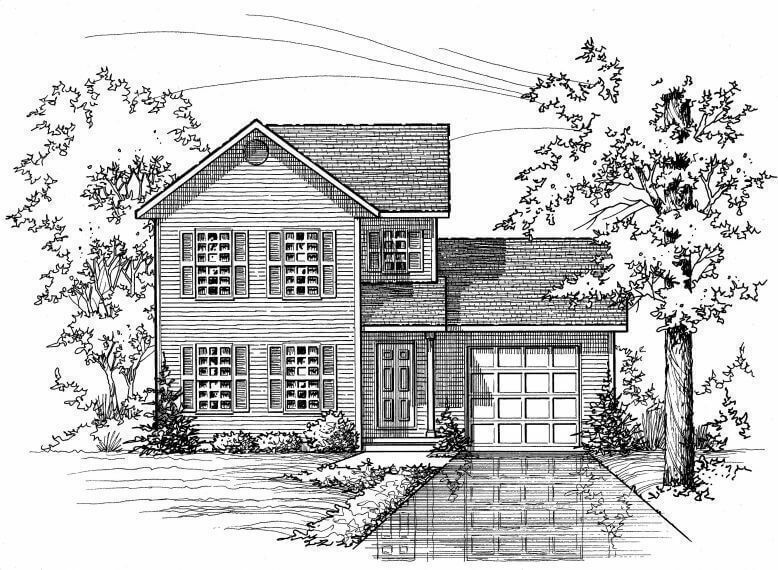 If you are looking for a cozy home with a practical side, the Hawthorne is for you. The exterior is warm and welcoming. 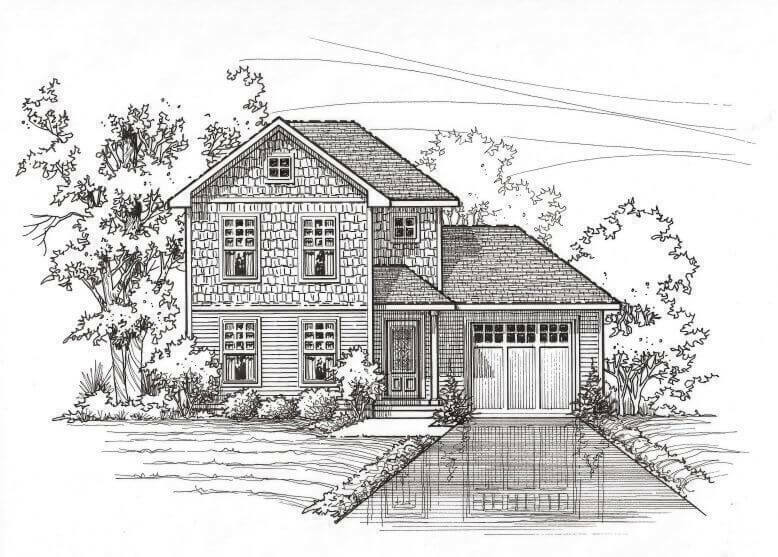 Inside you will find an inviting living room plus a convenient laundry and powder room on the first floor. Open stairs lead to the second floor where two spacious bedrooms await. 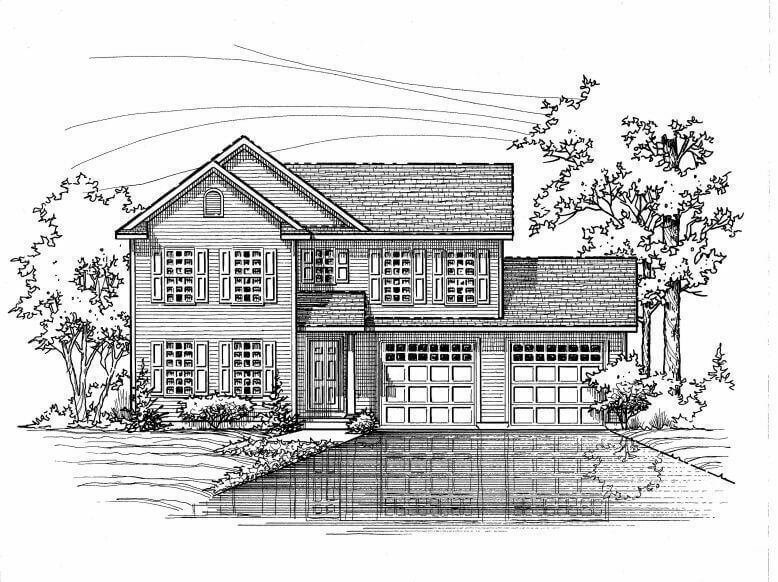 A deluxe master bedroom suite can be extended out over the garage for additional space and a touch of luxury. Need room for two cars? Not a problem, a two-car garage is available to meet your needs.